Churchill had a Zionist controlled partner to push through this agenda Lord Arthur James Balfour. A leading figure in seeking the Declaration was Chaim Weizmann, a Jewish research chemist from Russia who had represented the British Zionist Federation in the negotiations. As chief scientist working for the British Admiralty, Weizmann had invented a process for synthesizing acetone, an essential component in the production of cordite for munitions. As a result he had the opportunity to personally convey the intensity and urgency of Jewish feeling on the issue to Prime Minister Lloyd George and Foreign Secretary Arthur Balfour, both of whom were men with a knowledge of the Biblical history, and essentially in sympathy with the Zionist cause. Most importantly, the British government saw the Balfour Declaration as providing a legitimate basis for a British protectorate over Palestine after the War. However they also sought support for the Allies among the five million Jews of Russia after the Social Democratic February revolution of 1917; as well as the Jews of the United States. This video also explains that there are two Jewish factions the Zionist controlled side and the Bolshevik Jews … which are at odds with each other case in point the Zionist Jews are solely controlled world wide by the Rothschild’s which also controls the Vatican and the Bolshevik Jews who lobby the Marxist agenda which is controlled by George Soros.. they are in a silent war between themselves..
Soros weapon is through various Marxist foundations such as Black lives matter and Getup! The Zionists Jews control the media such as the Murdoch media worldwide..
ISRAEL'S SECRET WEAPON AGAINST THE US & THE WORLD – THE TALPIOT PROGRAM EXPOSED! !Rothschild's lackey Netanyahu can get away with murder because Israel controls the worlds high technology sector – over and above the US.That "American" you see "controlling" something? He or she is an American Jew or Zionist, dual national Israeli American citizen.nRothschild rules through their private country, Israel. Until we target specifically this control of the high technology sector and specifically The Talpiot Program, we will all continue to wonder how Israel gets away with all it does.It is a racist state of the most odious kind. But who will stand up to them?From medical nano technology to cyber security to private hacking companies to military technology to police databases, banking, finance and medical – Israel runs them all.This is Israel's false flag nuke.————————————————————————-They have a backdoor to every single piece of technology we have been sold and they are always one step ahead of every single government official in the US and the western world for that matter! One thing all people should take from this is history repeats itself all the leaders worldwide are controlled by the Zionists and or Bolsheviks at any given time! Marxists are the controlled opposition and organisations such as Antifa are used and financed by people like Soros… labor is controlled by the Marxist faction and Liberals are controlled by the Zionist Banker faction big multinational Corporations Bankers and Big Pharma you can see this in the policies they push especially the No jab No pay policy and the Vaccination mandates…. A republic for Australia means NO MORE RIGHTS and NO MORE FREEDOMS. They will make the new constitution so that it only benefits THEM and not we the people!! He’s a corrupt multi millionaire elitist master Prime Minister UN-ELECT. How did he make his money? How, indeed! Who stole the workers’ compulsory pension fund? Regarding yesterday’s post about aged pensions and new eligibility thresholds being mooted by the government, those old enough to remember may recall the pension deductions at source during the 1950’s and onwards? Those who do recall, as I do, may also remember that a few years later all that money somehow vanished and when any politician was asked where all that pension money went they ran for cover and I don’t recall any answer forthcoming. Many reports say the National Welfare Fund, as it was called in 1950, held more than £100,000,000. Considerable public relations investment prepares Aussies for this event; generally in the form of proselytising the myth that the younger generation is being stuck with the burden of financing pensions for the ageing baby boomers. The reality could not be more different. This is the story of a different kind of privatisation… outright theft on a multi-billion dollar scale; the appropriation of an entire age pension scheme. We don’t even know where the money went. The history of the Age Pension Fund is not-well-known and it goes back to 1945, when Prime Minister Ben Chifley became aware of grinding poverty amongst the elderly. He was shocked, and a referendum was put to the people of Australia; and the outcome was a welfare fund contributed to by every Aussie worker, at a rate of 7.5% of gross income (at the time, in Australia and New Zealand, one and sixpence in the pound). This was a fund that was very specifically owned by the workers and declared as such; a fund in which government could not interfere; and from which it could not even borrow. Money could only be paid out as an indexed and non-means tested pension upon retirement at age 65 (60 for women). To ensure the public was reminded of its investment, and so no government could interfere with the Fund, the amount appeared at the top of every income tax form and was calculated before income tax. Actuaries have calculated that this fund should currently be yielding at $6000 per year more than the current age pension. Posthumously, former Prime Minister Robert Menzies should be tried for the original theft; perhaps the greatest heist in human history. Former Prime Minister Paul Keating needs to answer the long-stalled question, where is this fund? This is a fund that he illegally, and in breach of the constitutional sacrosanctity of referenda, imposed means testing; on worker’s own savings. Does the current government know about this? It would certainly explain why on 29 July 2009 the Minister for Aging Jenny Macklin diverted attention from the 1946 fund, by erecting a monument in Canberra to the 1909 age pension scheme which, as she mentioned over-casually, “was means tested, just like today’s version”. Nice try Minister but you are still in possession of stolen funds and imposing illegal means-testing. Incidently our schooling system has been infiltrated by Marxist doctrine … its Psychology sector to through the University’s also!! https://afqld.blogspot.com/2012/06/jeremy-lee-vale.html the following video is Jeremy Lee vale speaking to a live audience in Qld. Who and what is behind the Fabian Socialist agenda that is doing its best to destroy our nation? If you have never heard of the Fabians before it’s hardly surprising. They are a shadowy group that has been working behind the scenes, manipulating governments around the world since the late 19th Century. Buy the book “Wolves in Sheep’s Clothing” by Amy McGrath exposing the Fabians: Four great frauds are exposed in this book: Fabianism, Global Warming, the UN and Soros. 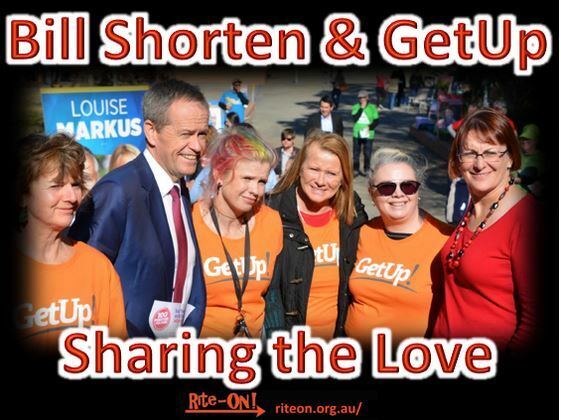 INCLUDES BILL SHORTEN, JULIA GILLARD, AND MANY OTHERS. READ AND SAVE. Soros is a full blown MARXIST! Our country is fast becoming a totalitarian fascist Communist regime … will we follow China’s lead?? Facial recognition cameras and Social credit ratings that effect all their facets in their lives… including banking availability and jobs! Dr. E. Michael Jones discusses the article he wrote for the November issue of Culture Wars magazine. He called it: “The Hidden Grammar of the Kavanaugh Hearings” partly because of the fear people especially in media have of mentioning the Jews. Mike explains that we cannot understand the moral meltdown at Catholic high schools during the 1980’s unless we first understand how Jewish psychiatry had penetrated Catholic teaching. Erik Erikson, the Jewish disciple of Sigmund Freud taught that there are eight developmental states. To get from #6 (early adulthood) to #7 (young and middle adulthood) one must have “sexual intimacy and expression.” Many priests concluded they were “not developed” because their emotional growth was arrested at Stage Six. Many concluded: “If one demonstrated “scientifically” that celibacy was abnormal and that its practice inhibited personal development, then leaving the priesthood and marrying was not breaking solemn promises but rather something logical and healthy.” Acting on teachings like Erikson’s led to much moral corruption especially in the 80’s when Brett Kavanaugh was at Georgetown Prep. Once the priests (and other Christians) were seduced by Jewish psychiatrists into breaking God’s commandments regarding sexual purity by thinking that chastity was “psychologically abnormal” then the Jewish lawyers took over to condemn them. The parallel between this story and the story of Adam, Eve, the Serpent and the forbidden fruit is striking. We the people must wake up to this fact and start to become informed voters and start voting for the minor parties and the true Independents that do not have any affiliations to these Jewish organisations and their agendas… and those candidates that foster and protect the 1901 constitution and the Magna Carta … We are living in Tyrannical times if you care about your children’s future you must educate them and become proactive it is our duty for change! This is why we should never become a Republic with a president that can excecute executive orders without the peoples consent!